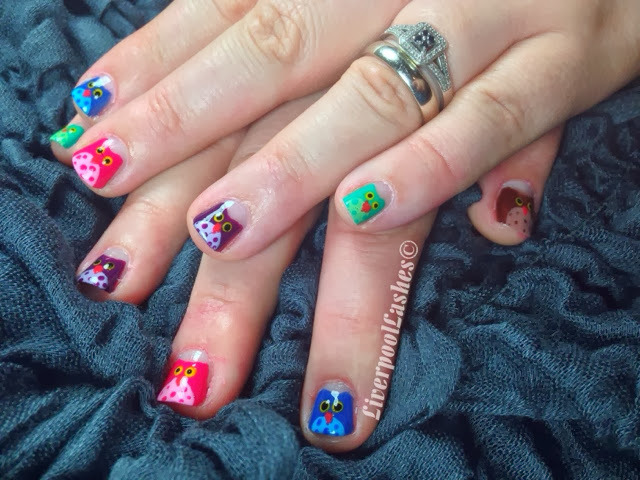 Bezzie has a very understandable love for owls (side note: if you're a KS1 teacher she has her own resource blog) so it was fitting to do some owl nail art on her in beautiful bright colours. All jokes aside she has a smaller nail bed (she often reminds me of the time I said this to her) so it does show that nail art can be done on anyone's nails if you just scale it down to fit. 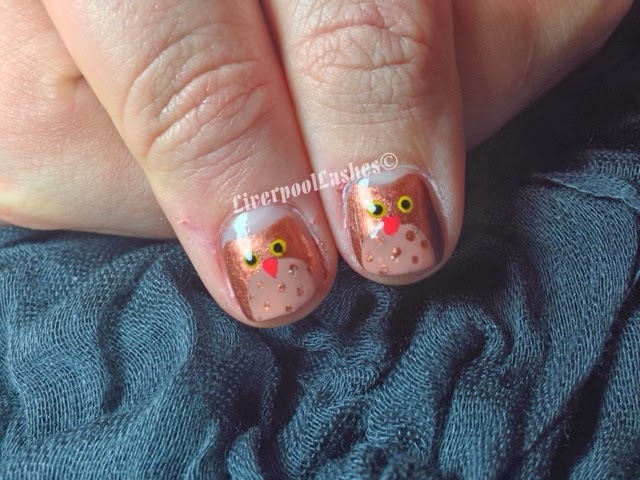 I loved how her thumbs turned out so if you want the traditional owl colours you could do all of your nails like this. I do have a full step-by-step nail tutorial below if you'd like to see how I achieved this look. Loved them, they were gorgeous thank you! 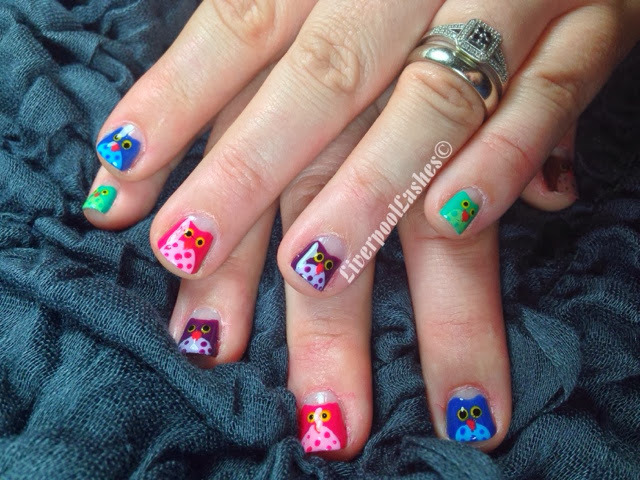 I rocked owl nails very similar to these the other week for my uncles funeral. (He used to love owls and didn't want a traditional "all in black" funeral). My sister and I both did them. She used a feather effect nail varnish for his body though where I did the dots so we were slightly different.